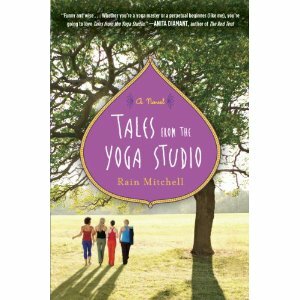 Recently, I was given a great little beach read book called Tales from the Yoga Studio. The novel is about a woman who owns a yoga studio out in Los Angeles and her battle between keeping the studio she built or an offer to start her own style and teach at a national yoga chain, which, no doubt, is offering her a great salary and great benefits. Lee, the teacher, upon auditioning for the larger studio relays the fact that all of the corporatism brings her a lot of comfort. They can get all of the best workshops, they have a nationwide color scheme and high-quality retail offerings in their studio and if the studio fails, it’s the corporate office that suffers, not the branch and teachers. While the story was really just supposed to be fun, it got me thinking about the studios in Atlanta. We, so far, don’t have any national yoga chains in our area (Exhale borders this, but seeing as how they don’t specialize in yoga, I’ll refrain from counting them), but it’s almost certain that these big studios are coming our way sometime soon. They’ll have the most talented teachers who move across the country to work at them, they’ll have big-name workshops, quality materials, classes that undergo quality control for style and difficulty, they’ll have branded gear and a lot of money to market to students. They’ll also likely put some of the “little guys” out of business. I’m fairly sure that in our collective minds, we think that the small studios have all the heart and soul. They’ve spent time building a great community of loyal yogis who have grown with the studio and the teacher. They have built the best classes and schedules based on a lot of trial and error. The owners and teachers have given much of their energy spending time with students after class and outside of class. Small yoga studios are the culminate work of a dedicated, passionate, audacious group of people. I can’t help but see the benefits of both. With a national chain, you always know what you’re going to get. You know the teachers aren’t going to change things up very much. You’ll like the atmosphere and the size and the stability. With a small chain, you get to grow with your teacher and fellow students. You know that with a smaller size, you’ll likely see many of the same faces in class week after week. For me, although I want to say that I’d always choose the local studio to the national studio, I’m wondering if I’d fall into Lee’s conundrum and think best of the national chain. What would be the point of yoga if the community isn’t involved? Why does everything have to be about bigger and fancier? At the end of the day it’s nice to go to the mat and do what your supposed to do without the nonsense of commercialism. Did the yogis care where they were practicing yoga? I don’t think so. The Yoga practice is so much more than the athletics that it has been turned into. As small studio owners, we must continue to demonstrate this, through our classes, workshops and daily lives. From this,we will build community and a strong foundation for real transformation to take place. And isn’t that what really counts…lives being transformed? That’s what brings me to the mat!